In 1943 Juan D’Arienzo recorded a new disc, which was sold in 17,000,000 copies. Even by today’s standards this number is insane… and, in the domain of tango music, the record has never been beaten. The disk contained immortal “La Cumparsita” on side A, and milonga milonga “La puñalada” on side B. Interestingly enough, both of them came not from Buenos Aires, but from Montevideo. Only nine years ago, Francisco Canaro, in the middle of a live performance unleashed on unsuspecting dancing public “Milonga Sentimental”, thus giving birth to a new dance. Before that, milongas were only sung, but never danced. 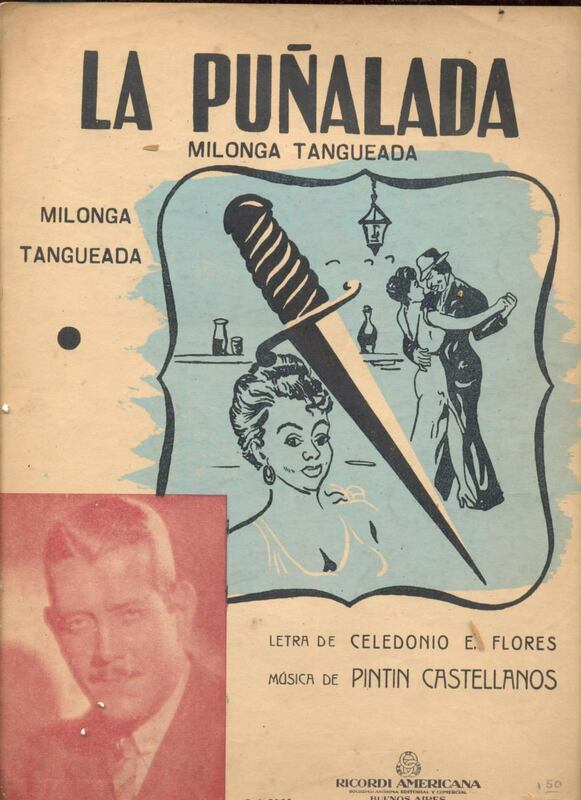 Even the first recording of “Milonga Sentimental”, which Canaro made with Ada Falcón in the end of 1932, was in a pure cancion fashion. But now, in 1933 milonga is a new dance, and it is quite a trending dance, indeed.